Knowing the type of lenses that are available and which ones you need for your glasses will assist you in selecting the correct lens type for your needs such as single vision, bifocal or varifocal lenses. 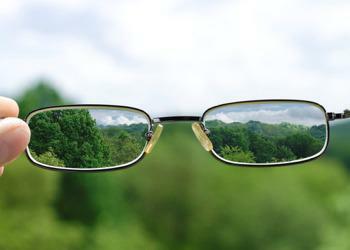 Are used when you are either long sighted or short sighted but only want one vision power in your glasses such as for reading, working on a computer or for driving. 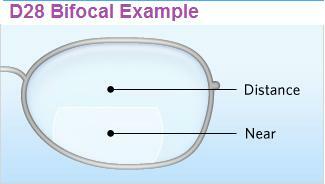 Are used when you have a prescription that means you are both long sighted and short sighted and want to have both prescriptions in your glasses, they have the distance portion in the upper part of the lens and the reading in a small segment at the lower portion, typically a D28 bifocal is the lens of choice. The benefits are that you don’t need to buy 2 pairs of glasses for reading or driving or keep switching between the two. Are again used when you need two prescriptions, for distance and reading. They are considered more cosmetically pleasing as they don’t have a reading segment in them. Varifocal lenses also have additional benefits in that they also have an intermediate power range which is useful for ‘in between’ distance and reading distances such as looking at shelves in a supermarket or the dashboard of your car. There are many type of varifocals offering different benefits and features such as standard, premium or lifestyle type and the more advanced options have a wider field of vision and are often easier to adapt to. 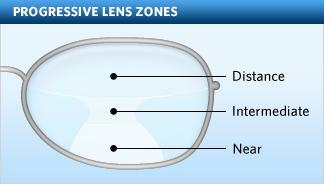 The difference in standard or premium varifocal lenses are that the premium option has a wider field of vision with less peripheral distortion, see the example below. The standard option is a budget price.